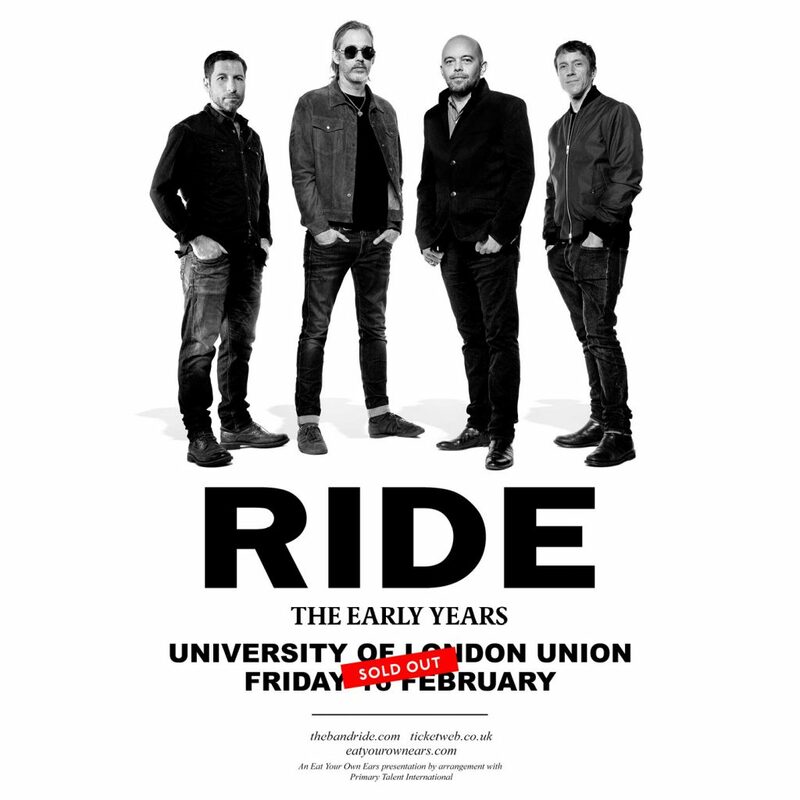 The Early Years have been asked to support Ride at the reformed shoegaze legends’ show at ULU in London on Friday, February 16. It will be the band’s first full electric performance since last July. It’s already sold out, but, if you were lucky enough to get a ticket, The Early Years will be onstage at 8pm sharp. Definitely worth getting there early. Here’s the last time Ride played ULU on a Friday night. Lock up your daffodils! And here’s Andy Bell from Ride’s incredible rework of The Early Years’ ‘For The Fallen’.